This deluxe first aid kit is packed with supplies while still being small enough to take with you into the field or on your boat. This is the right kit for recreational hunters, fishermen, campers, hiking trips, or for completing your bug-out survival supplies. It includes medications for inflammation, pain, allergic reactions, bites and stings and heart attack symptoms. 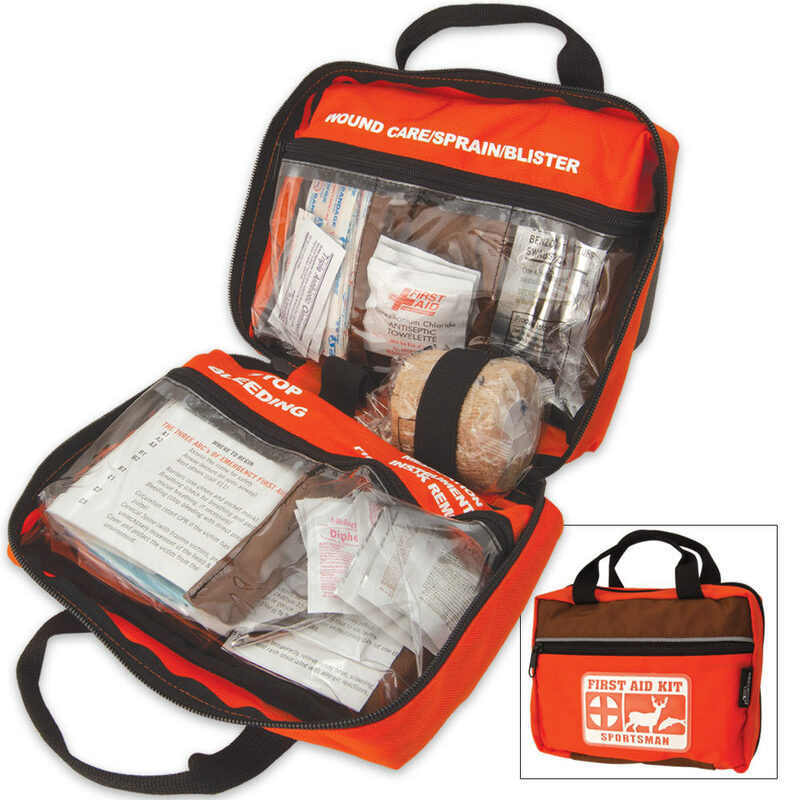 This kit also includes field trauma supplies and hospital quality instruments. Reflective striping and bright orange fabric keep this kit highly visible and easy to find. Comp. Guide to Wilderness & Travel Medicine. After Cuts & Scrapes Anethestic/Antiseptic Wipe (5). Kit measurements: 8 in. x 6 in. x 2 1/2 in. If you're like me then you probably stockpile these kind of things for the upcoming zombie apocalypse. I might have to make more room for these, fully-packed, briefcases of life. It has tape, gauze, peelz, bandaids, and a bunch of other useful materials. Each little container has it's own instruction sheet, and on top of that there is a survival book, if you dig deep enough. I found nothing missing from this medi-pack. It even lists a website where you can refill your fully used briefcase.